I have recently returned home from a delightful cat-sitting adventure in Melbourne’s eastern suburbs. 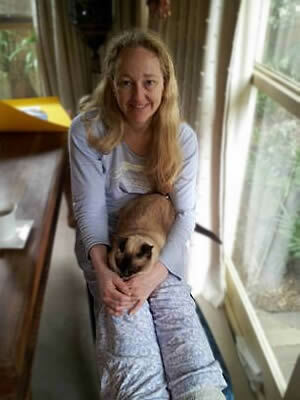 My dear friend Heather went on holiday for 10 days and I had the privilege of caring for her 6-year-old Tonkinese, Ratiti (which is Fijian for Daughter of the Chief). We had many adventures, including playing hide-and-seek, chasey, and pipe cleaner wars. Caring for such a young, non-diabetic cat was so different. I had forgotten how little water a non-diabetic cat drinks, how infrequently they urinate, and how strange it was not to do blood tests throughout the day and give insulin injections. She was such a pleasure. Sometimes she slept with me, sometimes she slept in her favorite cupboard, and sometimes she chose to do both, alternating at regular intervals … all night!